Parenting | What Happened To Her Face? 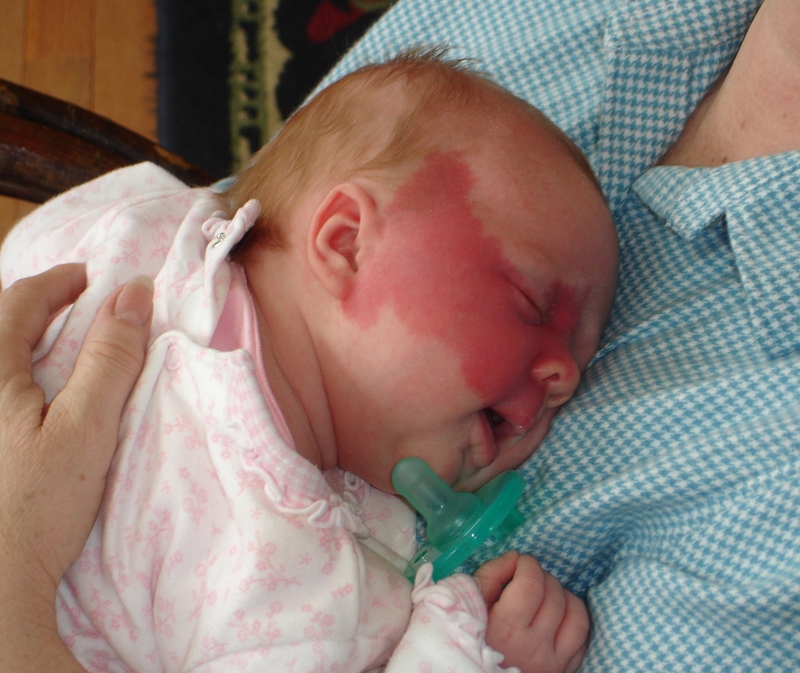 After Addy was born, Keith and I had to decide whether or not to pursue treatment for her port wine stain. We were 90% certain we would treat the stain… In hindsight, I realize the only reason it wasn’t 100% was because we felt that, by treating it, we were acknowledging that it was a blemish. And we didn’t want her to see it as a blemish. But over time, I learned something rather profound: you can both call the error and call it beautiful. An the fact is, the port wine stain is an error, a mistake that occurred in development; trying to label it anything else deviates from the truth. But that doesn’t mean it’s not beautiful. And once you wake up to that truth, you realize how much of this beautiful world is so, not in spite of, but because of the errors. It’s the deviations from “perfect” that we find interesting, lovely, attractive. A towering, twisting oak tree gnarled by age and storm; the jagged edges of a rock cleft by violent wind and ancient water; those tiny little pigment mutations sprinkled on the nose that we affectionately call “freckles”. The tree, the rock, the skin… all deviate from their error-free Platonic ideal, and yet all are more beautiful for those deviations. So, we face the error honestly. 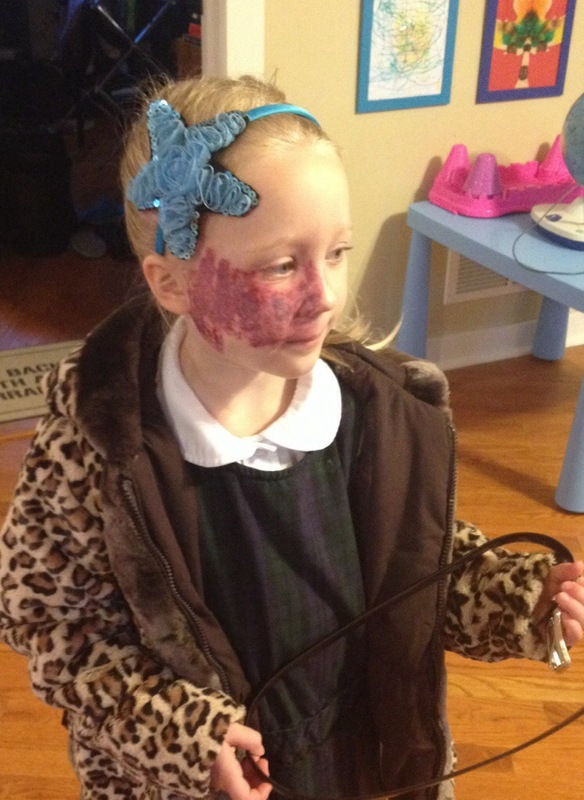 We zap the invasive blood vessels that have masked our daughter’s face from birth. And yet, every step of the way, we affirm not only her beauty in general, but the unique beauty of her face for the lovely error she she’s blessed to bear. We have three children: Addy is 7, Clarence is 5, and Eloise is 3. The younger siblings’ awareness of and reactions to Addy’s port wine stain are amusing: a combination of childhood oblivion and concerned observation. When Clarence was younger, he’d point to Addy’s baby pictures: “That me!” “No, sweetie, that’s Adelaide.” “NO! That ME!” We’d point to the rather obvious port wine stain plastered on the baby’s face: “Clarence, look at that stain – you don’t have one of those, only Addy does.” He’d stare at it for a minute, think about it, then firmly shake his head. “No, that me.” Okay, dude. 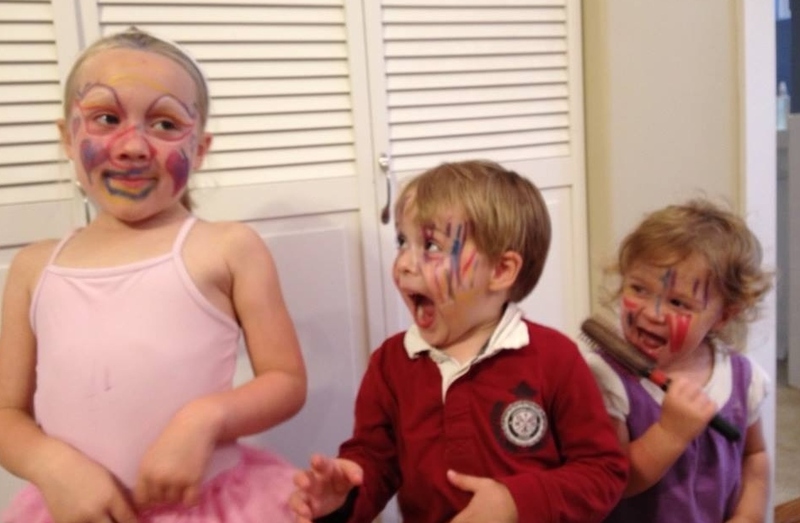 Eloise did the exact same thing when she saw family pictures. It wasn’t until they were about 3 that either one showed any signs of recognizing the port wine stain’s existence in the picture and connecting it to their sister. Two or three days after her latest surgery, which left her cheek quite bruised, we were sitting around the dinner table when Elly (age 3) suddenly stopped eating, stared at Addy for a long moment, pointed to her cheek and asked, “Addy, what that?” Yes, it took three years of life and three days of bruising for the youngest sibling to notice anything out of the ordinary. When Clarence was three, he saw Addy’s bruised face after a particularly intense laser treatment and became quite concerned: “Addy! That blood!” She laughed it off and shrugged, “No, that’s just my port wine stain.” He stared. “No, Addy, that blood!” It took some work to convince him that his sister was fine, and that such bruising had, in fact, happened regularly in his first three years of life. He’d just never noticed it before. As far as classmates go, whenever Addy has a surgery, we prepare her for the fact that, because she’s going to school with a newly dark-purple face, people will probably notice it and ask her about it and that’s totally okay, because it means they’re concerned, and that’s awesome. While familiarity may sometimes breed contempt, it can also breed boredom; in our case, that’s a very good thing. As long as Addy is small, surrounding her with the same people regularly for whom her suddenly-purple face is ‘nothing new’ minimizes the stares and questions she gets throughout her day. I will always be happy to expose her to the world, to empower her to answer strangers’ questions with grace, and to build her confidence in facing society with a unique face, but I’m also relieved that in her daily routine, she can relax among a few friends and family who know her face so well that there’s nothing left to ask. Unless she comes home with a sweet new Olaf blanket and stuffed toy. Apparently, that’s enough to pique brother’s curiosity all over again. Addy had another laser surgery in January. She had looked forward to it for MONTHS. 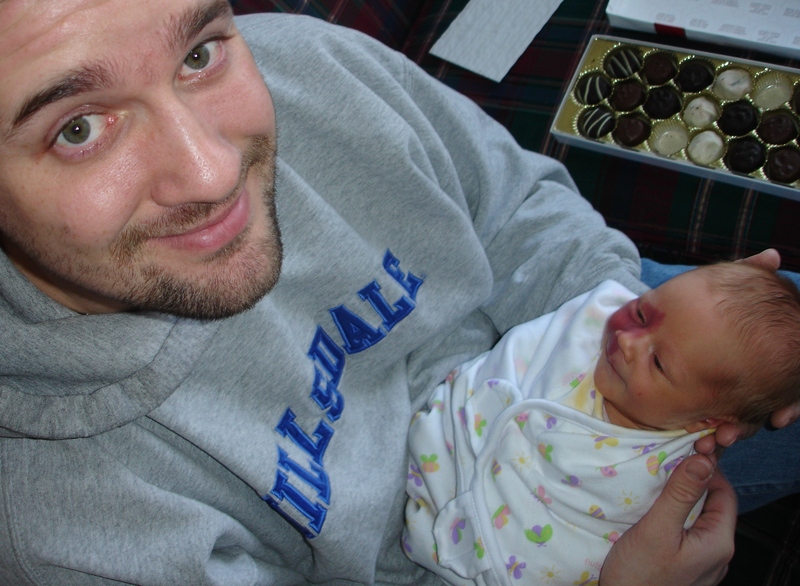 We try to do them every three months now that she’s older, but occasionally we have to push it back an extra month for scheduling conflicts, like this round. 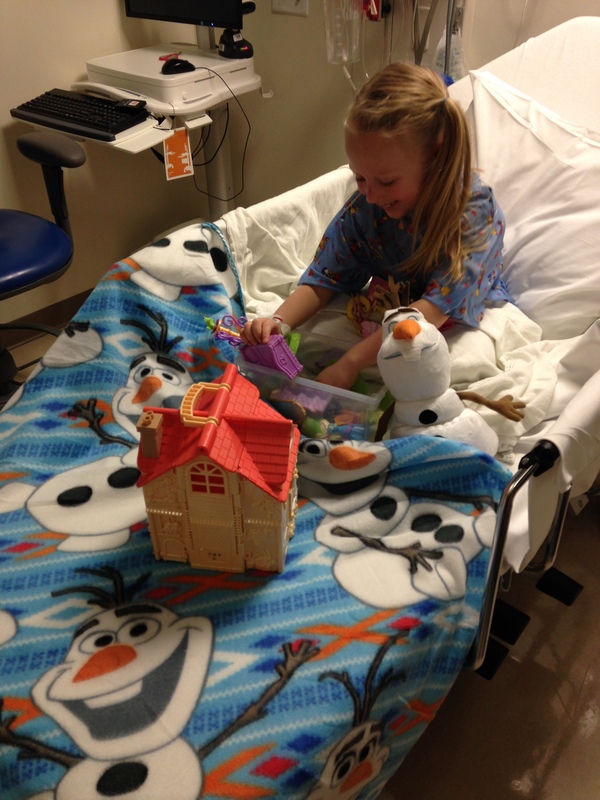 So with 4 months between surgeries here, she had an extra month to get excited about going into Children’s hospital. We came this close to making a paper chain like we do for countdowns to vacations. Addy underwent her first laser surgery at 5 weeks old, and she’s had over 30 so far. She knows the faces of Doctor Zelickson, the nurses, the anesthesiologists, and the Child Life Specialists, and they all know her. She knows the routine by heart and looks forward to it each time. I should pause here to explain that in the past, we’ve had some trouble coming out of anesthesia. 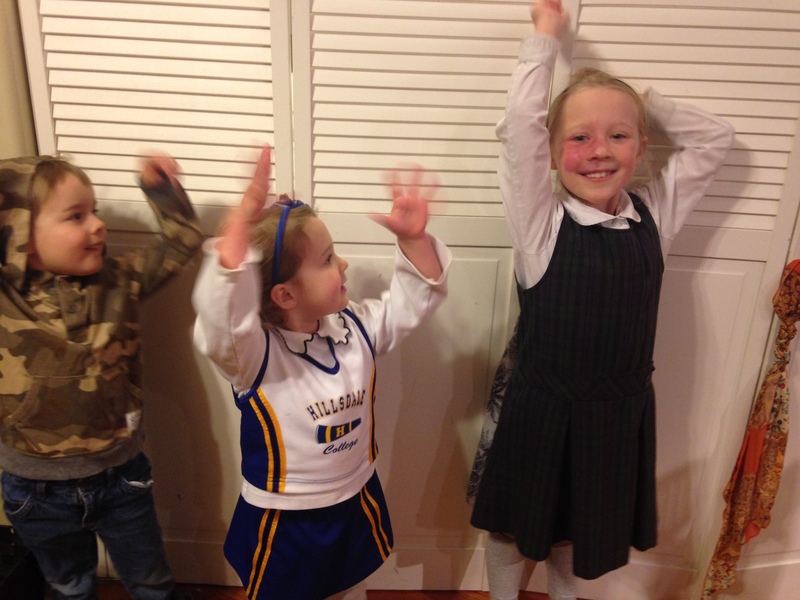 Addy was 3 or 4 when she experienced ‘emergent delerium’, which means that her body woke up before her brain. Anesthesia is steadily breathed out of the system, and if the body wakes up before it’s all out, the brain is still fogged, drugged, and weird. With Addy, this manifested first as weepiness, then quickly turned to an angry, inconsolable tantrum that lasted an hour. It was like being on the set of “The Exorcist.” It. Was. Miserable. After that, I’ve always asked the anesthesia team to please keep her asleep as long as possible, to let her sleep off the drugs. At September’s surgery, they gave her Versed, which is a hilariously loopy drug that helped knock her out until her brain was de-fogged. Worked like a dream, and I got some very cute videos of a trippy Addy. This time, we did the same thing. The nurse gave her Versed at 7:25a.m., and because Versed wipes out memory, he reminded me: “Her memory stopped at seven-fifteen.” Ok, cool, whatever. When Versed wiped Addy’s memory, she lost the memory of seeing Dr. Zelickson, of being wheeled down to the O.R., and really, of most of the routine she had so intently looked forward to. This is where Geri (the Child Life Specialist) comes in. As soon as the staff saw that Addy was distressed, Geri stepped up. Planted next to Addy’s bed, she calmly and clearly spoke to the confused little girl, firmly reiterating that yes, we’ve already done all of that, and then she reminded Addy of the yucky-tasting drug she took earlier, explained to her that it wipes out memory, asked Mommy to pull out the phone with which we’d taken a few pictures ahead of time (to show Addy evidence of the routine that did in fact take place), and explained to Addy in clear step-by-step terms that her big-girl brain doesn’t like being confused about sequence and routine, and that it’s okay to be a little stressed about it. She didn’t mince words, she held her ground when Addy insisted that we do it all again, she was kind, she was patient, she was empathetic, she was firm, she was clear, she was basically everything you’d want someone to be when they’re giving your kid a pep talk like this. She helped catch Dr. Zelickson between procedures, so he could come back into Addy’s room and we could check that off Addy’s mental checklist (again). She even arranged for the two of us to wheel Addy’s bed down to an induction room (which looked like an O.R. but wasn’t in use) to fill in some of the routine ‘gaps’ in Addy’s brain. Check. Can you see why I love going to a Children’s Hospital? These people know their clientele. When we were all done and Addy was ready to go, I took her down to the hospital cafeteria for a special breakfast, just the two of us. (A rare treat when you’re the eldest of 3 kids.) Her brain was de-fogged and she enjoyed herself. All in all, I felt awful about wiping Addy’s memory of the experience that she had so wonderfully anticipated. She’s already counting down to the next one, and we’ve all agreed (me, Keith, Children’s staff, and especially Addy) that we’ll skip the Versed next time. Apparently, the risk of emergent delirium peaks around ages 3-4, so it’s less of a risk now anyway. 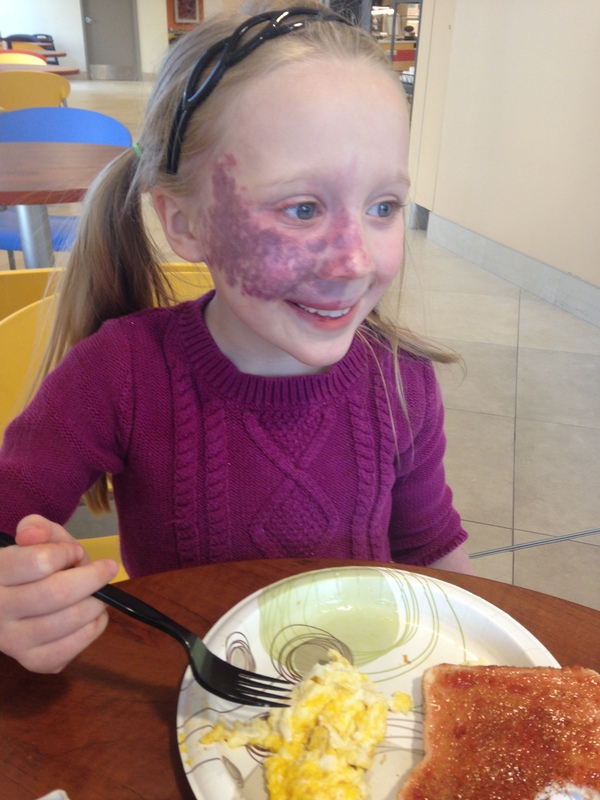 Each year of treating Addy’s port wine stain brings something different; we’ll see what Age 7 has in store for us. (So far, it appears we’ll be dealing with a strange tear-drainage problem around the eye, but more on that later.) Whatever it brings, I know that Addy’s in good hands at Children’s, and that we’ll figure it out together. Having breakfast after Addy’s latest laser treatment. Back after a long hiatus! Ah, childhood oblivion; it’s a lovely thing. As I was writing a response to this question, I found my answer to be getting ridiculously long, so I’m splitting it into two blog posts. Number 1 here is how we prepared Addy for the concept of having a huge dark-pink mark on her face; Number 2 will be how we actually talked about the port wine stain in more concrete terms when she was little. So if I seem vague here, or like I’m coming at the question from a 30,000-foot view, don’t worry – I’ll get more specific in my next post. I’m not that kind of parent. Indignation is great for making a sassy kid, but I don’t think it empowers them to be comfortable in their own skin. I’m a realist, and the reality is that you don’t need a sassy attitude to have positive encounters with other humans in the world; in fact, if anything, it hinders that goal. My big-picture advice? Give your daughter a head start on feeling comfortable with her different, stained face. Start early, while she’s still mostly oblivious, and be subtle. We didn’t directly talk about the Port Wine Stain with Addy until she was in preschool, so in her early years I basically trained her to believe that having a different, marked, pink face is a good thing. Then I hoped that, when it finally dawned on her that *she* had a different, marked, pink face, it would be a happy and comfortable realization. So far, it’s worked. To do this, send lots of little messages gradually, consistently, and frequently. You want to subtly convince her that port wine stains are awesome. So play up the pink-cheek thing; she might not realize yet that she herself has a super-pink cheek, but for now it’s adequate that she absorb the knowledge that it’s a very, very good thing to have. 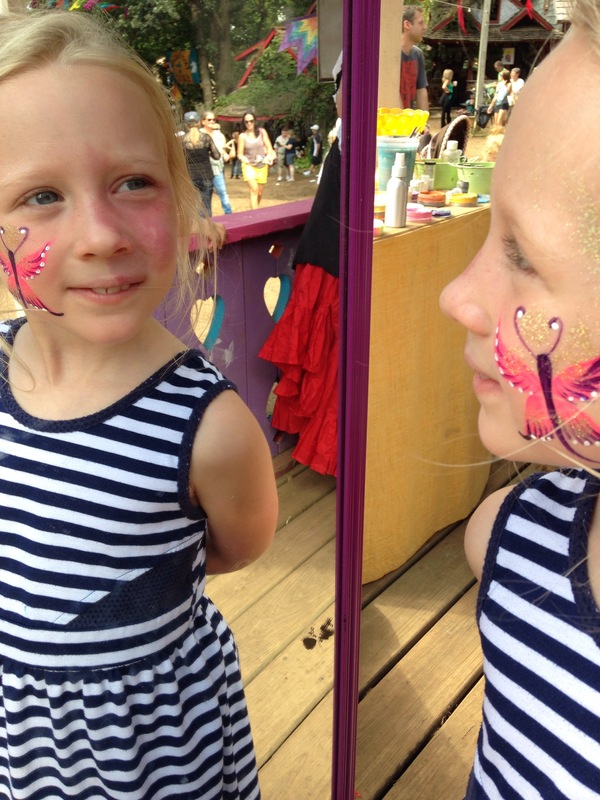 Another thing we did was embrace face-painting at every single festival we attended. This one was harder for me at first; I don’t like anything touching my own face, and on top of that I’m a little nervous to have her port wine stain touched or pressured. But once I saw how happy she was to have her (other) cheek painted with elaborate girly unicorns and hearts and stars, I knew we could use this to our advantage. Her port wine stain never came up while we were dressing in front of that mirror. But now, when her port wine stain comes up in conversation and we mention that it’s ‘a little different’ from the other kids, her face lights up like she’s just won a beauty pageant. 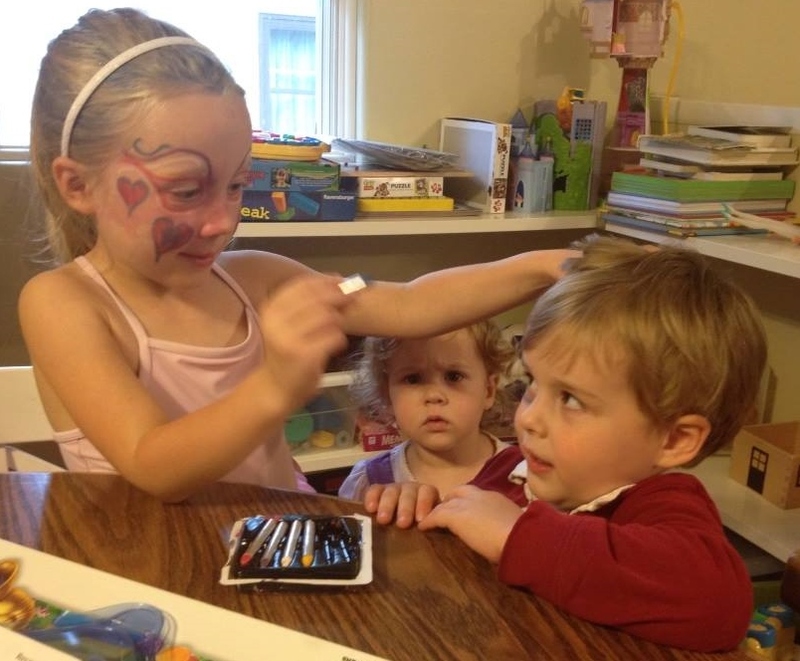 And when she was getting ready to go to preschool with a bruised face a couple years ago, she expressed sympathy that the other kids didn’t “get to have purple” on their face like she did. Embrace distinguishing characteristics; if you wear glasses, then you can tell the mirror (and your copycat) proudly that “not everyone gets to wear glasses,” as if you’re lucky for standing out from the crowd. I showed her my little cross tattoo to prove that I had wanted something unique so badly that I actually employed needles to get it (and I hate needles). I bought face paints and let the kids have a blast painting their cheeks (and noses and foreheads and ears) crazy colors, because face color is fabulous and beautiful and fun and happy. When Addy whispers loudly that she sees a stranger with something different (“Mom LOOK! He’s missing a leg!”) I whisper back like we just saw a movie star (“WHAT?! No WAY!”). With effort, luck, and time, you can help her know that distinguishing marks are awesome, and that pink cheeks are awesome, and that purple is even more awesome. With that knowledge in place, talking about the port wine stain itself will be easier. Instead of being defensive toward the world, she’ll be comfortable in it with her own unique skin, because she’ll know that unique is fabulous.